There are few dinners I love better than a bowl of pasta, some crusty bread to mop up the sauce, and a glass of red wine to wash it down... But it has to be good pasta. In fact there are few dinners I hate more than a bowl of stodgy, gloupy, overcooked pasta. The finer details of pasta quality and and cooking methods are for another post, but really, you are half way there when you have a good quality pasta to start with. Pastifico Liguori is a family pasta company from Gragnano near Naples in Italy. Widely regarded as the home of pasta, Grangano has IGP status which guarantees the highest standards in pasta making. Liguori have been making pasta since 1820 so it's safe to say they know what they are doing. They use the best Italian durum what and hard water from Gragnano as their only ingredients. 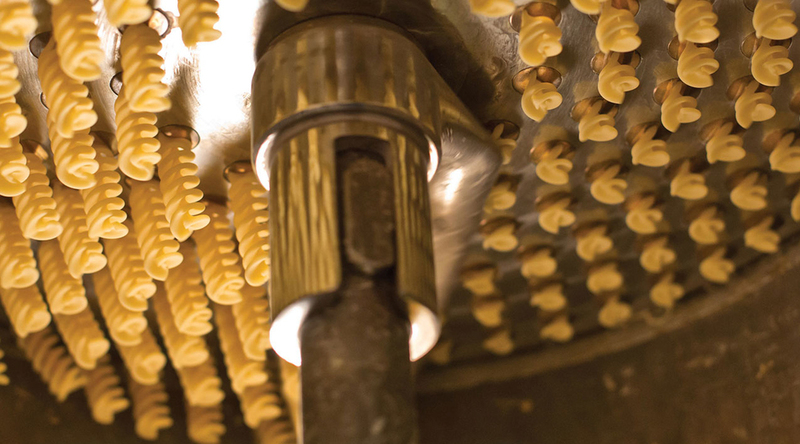 The pasta is extruded through bronze dies which gives the surface it's rough texture and helps the sauce stick to it. Finally, low temperature drying is the key to keeping the flavour in and holding the pasta's structure when cooking. We have a range of around 6 or 7 cuts so far and will probably try out a few more over time. We hope you enjoy it!